NZCCSS has been working alongside a group of health professionals in their development of a NZ Children’s Social Health Monitor which was launched on 25 November. The monitor seeks to track the impact of the economic downturn on children’s wellbeing using a number of scientifically robust health indicators and will be updated annually. NZCCSS welcomed the release of the Monitor as another tool to keep poverty issues on the government agenda. It complements our own Vulnerability Report that is released quarterly. Children's advocates Child Poverty Action Group are alarmed at indications that health spending will be cut even further next year. This has come just days after the news that high after-hours doctors’ fees are a major barrier to children getting medical help when they need it. The Salvation Army is calling for a 25% tax increase on alcohol to counter some of the damage caused by New Zealand’s out-of-control drinking culture. In a press release about the launch of Excising Excess, The Salvation Army argues that the Government should immediately increase tax on alcohol as a way of minimising the harm caused through the excessive consumption of alcohol. The Labour Party's housing spokesperson, Moana Mackey is asking the social services committee to look at how and why people become homeless, a move we support as homelessness is an issue that is not given the attention it deserves. John McCarthy from the Lifewise Trust supports the call for an enquiry and outlined in a TVNZ interview what needs to be done to end homelessness in ten years. The Lifewise Trust is a member agency of NZCCSS and a regular contributor to our Vulnerability Report. Some “welcome” news from the Government last week is that the limit for Welcome Home Loans has been increased from $280,000 to $350,000 for some higher cost housing regions. Housing Minister Phil Heatley’s recognised in his announcement that this is specifically designed to help first home buyers in the high priced areas enter the housing market. The Beneficiary Advisory Service has responded to the proposed tightening of welfare by the government with a stinging press release. In essence they say “Attempting to force beneficiaries into the workforce when there are fewer jobs to be had is simply ridiculous” (in response to proposals for DPB recipients to work 15 hours per week once their oldest child is school aged) and “requiring people to do things they are incapable of doing is just going to create more stress for some of the least resourced and most disadvantaged members of our community”. This is in response to plans to assess Sickness and Invalids beneficiaries more frequently. What obligations do we have to people in other countries and to future generations? How should we measure societal progress? How should we protect the global commons for future generations? What decision rules should we apply when confronted with policy trade-offs and conflicting ethical imperatives? These are some of the questions addressed in the Institute of Policy Studies conference on the Ethical Foundations of Public Policy to be held at Victoria University in December 10-11th. 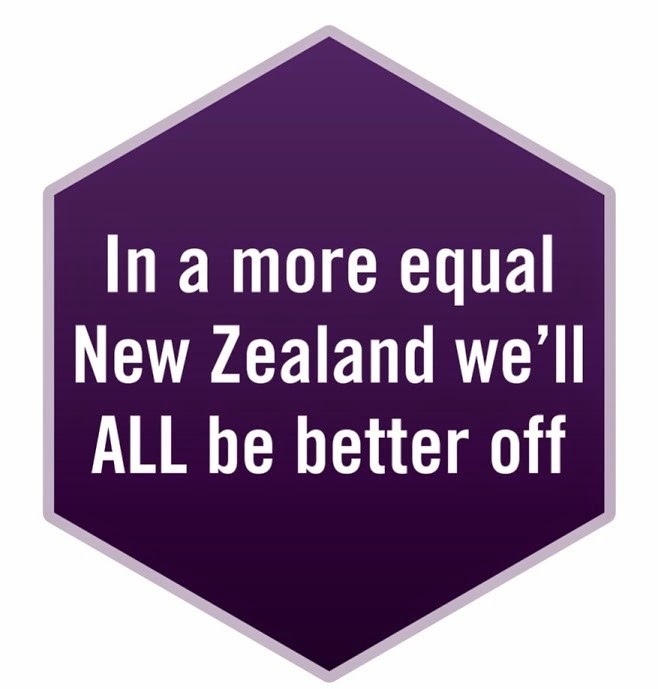 PSA and Healthcare NZ, in a joint press release criticise ACC cuts to the travel allowances of home support workers who are already on very low wages. It is difficult to see the wisdom in cuts to travel allowances for ACC caregivers given we have an ageing population and a policy of promoting ‘ageing in place’. The success of the latter is hinged upon good home support. Lynne Pillay, Labour’s disabilities spokesperson has pointed out that ACC cuts are a cruel blow of disabled people. Cuts include the sleepover allowance for spouses caring for disabled partners at home and a 20% cut to home and vehicle modification funding. Cuts in travel allowances for care workers (discussed above) are also detrimental. “These ill thought out moves will only lead to a shortage of workers and no financial support for families of disabled people” says Lynne Pillay. Michael Littlewood has written an article on why the full funding model is not appropriate for ACC. We have used this paper and a paper by Susan St John on the rationale for pre funding ACC in the context of the historical development of worker compensation in NZ in the NZCCSS submission to the Transport and Industrial Relations Select Committee. The NZCCSS submission will be posted on our website after our oral presentation this week. Barnardos New Zealand and Plunket have jointly launched a new publication, A Theology of Children. The 24-page booklet, which has a foreword by Wellington’s Bishop Richard Randerson, is aimed at supporting and strengthening Pacific parents, grandparents, and caregivers with strategies for non-physical discipline of children within a theological context. “As governments and communities prepare for the Copenhagen climate summit in December, we as New Zealand Church Leaders are urging bold action by our government and all world decision makers. We also urge that members of our own communities again take time to learn about climate change, reflect on our own lifestyles and take the necessary actions to protect the environment for current and future generations”. Presbyterian Support Northern, a large social services provider across the Upper North Island, is establishing a Research and Development Unit, with a particular focus on meaningful outcomes. This new position is to establish and then manage the Unit, in addition to undertaking some research and development. If you have considerable experience in the Health or Social Service Sectors, are highly competent in research and development, possess senior level leadership and management skills, excel at project management and are an excellent communicator, then this exciting new opportunity might be for you. Reporting to the CEO, you will need to be a high performer, self-motivated and a strong team player. Contact Rod Watts, CEO (09 5208601, rod.watts@psn.org.nz ) to discuss the position, or Shannon Bidois on 09 520 8600 or email recruitment@psn.org.nz for a copy of the role profile. Applications forwarded to Shannon Bidois by December 7. We are a fantastic sessional Christian preschool in Mt Albert Auckland, for O2’s, seeking an enthusiastic, energetic and passionate fully qualified teacher Fluent in English, Dip Tch (ECE) minimum to start February/March 2010. Needs to be familiar with Te Whãriki, the Bible and be able to fully support our centre’s philosophy; the Position is for 3 days a week, Monday Tuesday and Friday 8am-4pm in a supportive role to our 3 current full-time staff, and to increase our ratio to 1:7. We offer great working conditions.